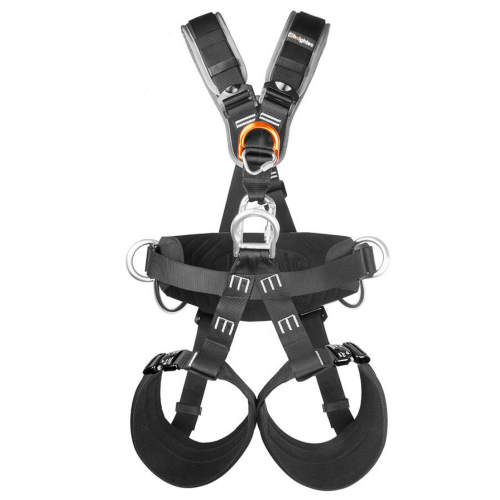 The AXON rope access and rigging harness has ergonomically designed shoulder, waist and leg pads for greater comfort. Waist D-ring configuration allows for multiple attachments to the harness. The adjustable and releasable shoulder straps are padded that ensures a good fit with maximum comfort and security. 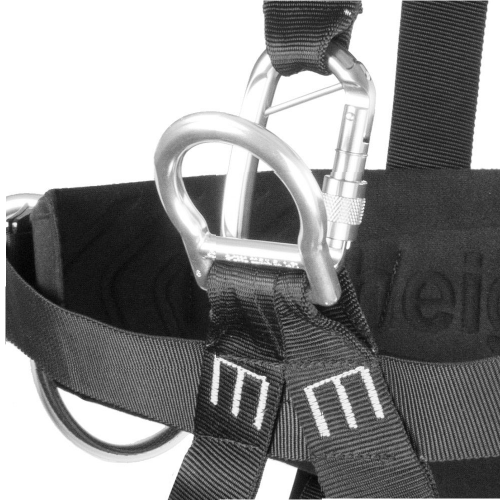 Large waist D-ring with webbing loop allows for easy attachment of descender, ascenders and cows tails. 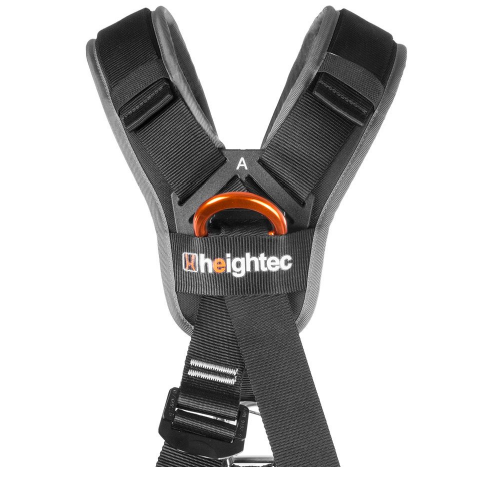 Pivots forward when not loaded to reduce bulk at the front of the harness. 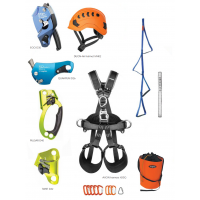 This Rope Access/Rigging Harness contains an alloy karabiner that is quick and easy to connect. Hook free gate prevents snagging and reduces potential webbing damage. Captive bar ensures correct orientation in use. 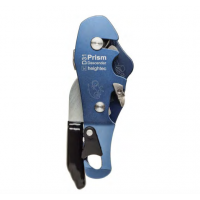 and allows use of chest rope access ascenders, however this screwlink can be removed if not required. and employs a positive locking system.